Situated on prestigious Club Row 44th Street between 5th and 6th Avenues The Algonquin Hotel is located in the heart of Midtown Manhattan. The multi- million dollar renovation of all 174 guest rooms and suites offers complimentary wireless internet and large desk areas with most rooms boasting new plasma-screen television sets. The brightened decor is enhanced with vibrant new colors and fabrics in window treatments furniture and bedding. Travelers will also appreciate the new Algonquin Beds featuring duvets and 350 thread count sheets. The Lobby newly restored with antique furniture still retains the architectural properties charm and ambiance long associated with this landmark hotel. 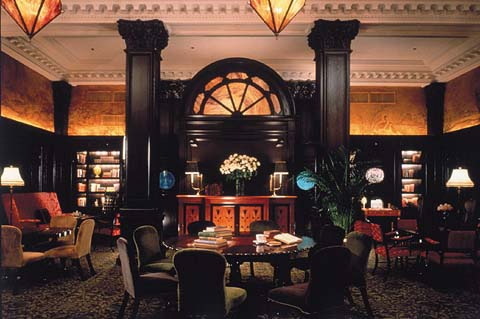 The Algonquin retains its position as a welcome oasis of civility amid the hectic pace of New York.